Thread: Spooky Inktober Contest - Winners! ...To everyone who participated! You all made great stories and art, and though it was very difficult to pick our winners, even if you weren't chosen, we thank you again for all the spooks you've given us! The following 6 posts will showcase their stories/fanart. Please enjoy! All rewards will be sent out in the coming days. The sky outside was bright and sunny, albeit more of an orange overcast due to the setting sun as I walked down to my street to my small, shabby apartment. The building was old and the apartments rickety and falling apart in some areas, but the rent was dirt cheap and close enough I can walk to the bus stop and take that to work in the morning. The stairs creaked as I walked up them like the did every day. I unlocked my door with my key and entered my apartment, dropped my bag by the door and headed to the fridge. Grabbing a bottle of water I thought of cooking something for a moment but decided against it. It had been a long week and I was beat. Crossing the kitchen I made my way to the living room and sat down on the couch, turning the television on. The news drone on in the background as I zoned out on the couch. The window was open some and the screen let a nice breeze into the small room. leaning back as my eyes got heavy I must have dozed off because I was suddenly awoken by a...sound. It was like a sawing sound. I couldn't place where it was coming from or if it was even real. I muted the TV and looked around. The only light was coming from the small one in the kitchen above the stove so I couldn't see much, but it seemed like it stopped. Had I just imagined it? I must have. I turned the sound to the TV back on and settled back down on the couch, too lazy to go to my bed. Throwing the small blanket over me I dozed back off. There it was again though. This time I leaped off the couch and turned the light to the living room on. By the time I turned around to look however the sound had stopped again. Rats. It must be rats chewing the walls. The apartment is old after all. Taking a few deep breaths I decide maybe I need a shower and proper sleep. I turned off the tv and passed through the kitchen. The hallway off of the other side of the kitchen had a bathroom at the end and my bedroom about halfway down. I passed by my room when something caught the corner of my eye. I don't know how because it was basically pitch black in there. I turned and peered into the darkness. Something was there. Then I heard it. A slow, raspy breathing that got louder and louder as I stared past my bed and nightstand to the corner of my room by the window that just barely let in a sliver of moonlight from the outside. I froze. I didn't even know if I was breathing or not. I couldn't see what it was but it was breathing. I know it was, I could see it. Then it moved. As it stepped into the light I saw it's...claws. Long, gnarled claws that stretched out from it's long, bony fingers. The claws scraped the wall, tearing the wallpaper as it moved more into the light. One claw on it's left hand was completely missing and thick, black fluid seemed to drip as it dragged it's hand along. It's voice gargles as it breathed. It was long and deformed, a bony, thin face and a jaw sharp and thin enough that I don't know how it could even speak. But its jaws were opening and it was attempting. Thick, mucus-green colored saliva dripped from between the few long, pointy, yellow 'teeth' that were inside its mouth. It's frame was almost skeletal and it was tall, hunched over as it was too tall for the room. It's skin was a sickly green-black color that almost looked like it rolled around in soot. Ragged tatters of what I assumed were clothes covered it sparingly. It almost creaked every time it moved and the sound alone sent shivers down my spine. Long tangled and matted hair flowed down from it's head, covering some of it's deformed face in shadow. It's eyes were abdormally huge and sunken with what appeared to be tiny black pupils. One appeared to be damaged as that same fluid that dripped from it's finger was also rolling down her face. She? It? It seemed to grin at me. A wild, primal look that if looks could kill I would have died right then and there. It stopped moving though as it stood across the room from me, the moonlight hitting it from the back making it harder to see. It's long arm reached out to me as it gurgled something. Only after the second time I realized what it was saying. "Come on." It paused as if speaking was too hard. Saliva dripped to the ground and it struggled to breathe, almost gasping for air. "Come on!" It let out what appeared to be a growl when I didn't move. When it lunged forward something in me finally clicked and I bolted down the hall and to the front door. I could hear it lumbering behind me as I realized the door was locked. When? I didn't lock it! It was behind me. Gurgling words that I couldn't make out. Fumbling with the lock I finally gave up and noticed out of the corner of my eye that the living room window was open. I could hear it just behind me and I raced through the kitchen, listening to it crashed into things on the counter. As i reached the window I threw it open and felt a seering pain in my calf as it's claws grasped my leg. Ignoring the pain I broke through the flimsy screen and tried to pull myself out the window. I kicked at it, pulling myself further out as I felt it dig deeper into my leg and either saliva, blood, or both on my skin. Finally I managed to land a kick right into it's face and that stunned it just long enough that I pulled myself out the window and dropped to the ground, landing on some bushes below. The wind was knocked out of me and I laid there trying to breathe when I saw it poke its head out the window and heard it let out more of a screech. Ignoring all the pain in my body I could force myself to race away as far from my apartment complex as possible. As I raced by my complex I heard my neighbor's door open and them yell, asking if I was alright. Then I heard a scream. An utterly fearful, dread filled scream of someone who had seen something from their darkest nightmares. Their scream was then cut off suddenly. In the weeks that followed my neighbor was never found. All that remained was streaks of blood leading off into the woods behind the complex. I never went back alone. I moved back in with my parents. Sometimes I think that night was just a terrible, terrible night terror. But then I look in my dresser drawer. There in a baggy was what I had pulled from my calf that night. A long, gnarled claw. The same that the creature had tried to grab me with. It was a dark and stormy night, so I stayed in for the day, lit the fireplace, got myself a hot cocoa with some marshmallows, not the huge ones cause they won't fit the cup y'know the tiny mini ones that seem to evaporate when it hits anything that is hotter than lukewarm, the same kind that explodes out of the packaging no matter how carefully you open it. The End. ...Oh... You're still here? Spooky story you say? For Halloween? C'mon kid it ain't even Octob-oh wait yes it is, and it's the year 2018?! Why don't people tell me these things!! Ugh, okay fine, you win, sit down and lemme read you this tale that is completely factual and no one can tell you otherwise. It was a dark and stormy night, In this little old town call er... DOMO-town-land. There lived happy little citizens that were doing their usual routine of playing with pets and trying to sell their own kidneys to afford new costumes. But, during the Halloween season, this once happy little town, is plagued, by enchanted pumpkins!! Pumpkins that grow arms and legs and hats for some reason, walking very smugly as it tries to walk from one area.... TO THE NEXT!!. I know, pretty scary stuff isn't it Billy? WELL YOU'RE WRONG. Turns out these guys weren't very scary at all but they multiplied like rabbits, so a bounty was placed on their heads... And it was a really great bounty! All put up by a man who refers to himself as the "Traveling Vendor". Citizens were frothing from the mouth just thinking about the amount of gold they could get. "I'm gonna buy a house!" "I'm gonna pay off my student loans!" "I'm gonna invest hover cars!" The whole city-town-village place of people (Oh wow it's 3AM here, send help) all marched outside, slaying every pumpkin they could find, coming back home and cashing in their bounty which gradually made the Traveling Vendor smirk widen. By the end of the day the citizens were filthy stinkin' rich and could buy anything they could of dreamed of! The gold the citizens have received starts to shimmer ever so faintly. "Whoa this is strange, that Vendor better not of given be counterfeit gold or I would have to fight him with my arms and potentially a weapon but I don't want to get in trouble with the DOMO-POLICE again because my criminal track record already is on shaky territory, i'm talking impersonating gold spammers next to a GM and that isn't a very ethical thing to do becaus-"
Suddenly, a flash of light. "Oh no, I am now an enchanted pumpkin. I mean, pumpkin noises." That's right Jason, the gold given by the Traveling Vendor turned all of the citizens into ENCHANTED PUMPKINS!. Why? Because that isn't the Traveling Vendor at all! "Heheheheheheheeeeeee, foolish humans, kids, dinosaurs, foxes, floating people (Did I miss any? ), blinded by their own greed! Now they will live their lives as my legion of brainless puppets as we take over every town in this world!" It was none other than Sir Pumpkin Spice the Enchanted Headless Horseman of Salisbury next to the place that sells the really great sandwiches, like, real talk, if you ever go to a place that sells "artisan" anything, you're gonna pay a fair bit but damn, that's a nice sandwich, if I knew how to emoji on this I would give it the good ole circle hand. With all the citizens transformed there is no one left to save them. The End. What is it James Jamerson? You wanted a proper ending? I take offense to that! I just wrote my heart out in that story and you say that wasn't a proper ending? Fine! You want a proper ending? I'm gonna give you a proper ending? Am I stalling because I don't know how this ends yet? Of course not I know exactly how this ends! It starts with, er... I'm pretty sure a spoon is involved. OH WAIT, SHUT YOUR FACE, I GOT IT. Off in the distance there was a hobbit home, home to hobbits, there lived a man who had a name that could only be translated through sign language, but people just call him Mythil, he lives with his unreleased Giraffe friend, Doctor Giraffy Girafferson the Giraffe. 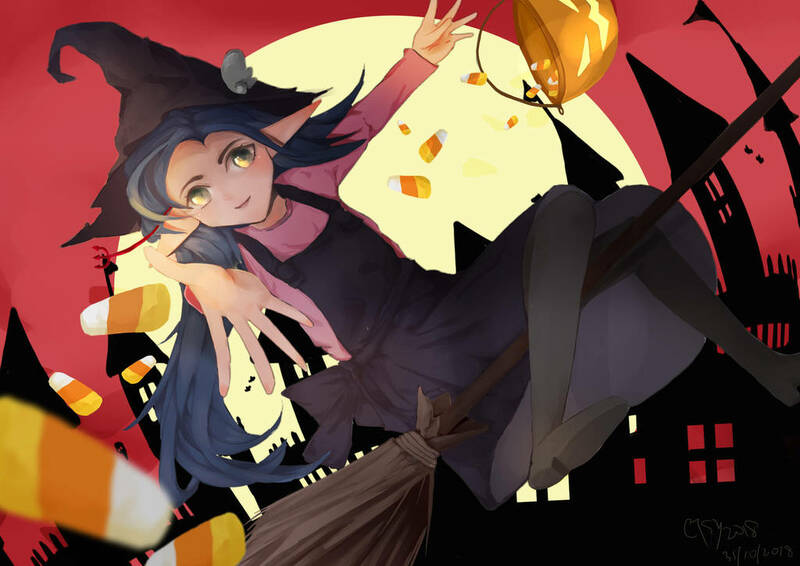 "To anyone who receives this message, our village has been under attack by a mysterious foe and transformed us into pumpkins, I don't know how I wrote this since I am already one of them but if you read this, please help us!" Mythil dramatically lifts his head after looking at the mail. So Mythil goes about his day, walking to the nearby village of Monsters-Live-Here-Town and finds a group of monsters, they were celebrating Halloween and even got dressed up for the occasion! Trick or treating at each others houses and having a great time. "Mmmmmmmm I smell new prey, pumpkin army take them out and make my armies rise!" "Not so fast headless pumpkin! These monsters are just trying to enjoy the holiday season! Who are you to SUPERSPINTHROWSHIELDATTACK"
Mythil launches his shield at an incredible speed absolutely obliterating the Sir Pumpkin Spices Headless Horse. "SIR HORSEY MC HORSEHORSE NOOOOOOOOOOOOOOOOOOO"
"Can we wrap this up? It's 4AM here now and I wanna sleep at some point." Sir Pumpkin Spice turns his head 180 degrees and utters the words. "You will die a painful and slow death"
Sir Pumpkin Spice launches a laser beam from his eyes towards Mythil, Mythil pulls off a nearby door that happens to look like a fried egg for him to use as a shield but was not quick enough to block it. "ARRRRRRRGHHHHHH, Doctor Giraffey Girafferson the Giraffe help me!" And just like that, off camera, Doctor Giraffey Girafferson the Giraffe puts down his starbucks coffee and comes in for the assist. "(I can't talk but you can read my thoughts, first i'm gonna high five myself and then i'm gonna cast my magic healing spell. After that I will use my strongest move on the big boss)"
Doctor Giraffey Girafferson the Giraffe holds up some children's playing cards and slams it onto a nearby table. "(I will send this whole town and all its inhabitants to... THE BANANA REALM!)" "It doesn't matter which realm you take me to, I will still destroy you all!" "Hah, you didn't count on my trump card though, I brought all my friends to help slay you!" "Er...but there is no one here." The monsters of Monsters-Live-Here-Town look at each other and slowly brought up the courage to help Mythil take down the beast, not only to save the town, but to save the world. And if you turn your head to the left Bobby, you will see on top of the fireplace, a painting that shows the epic clash that happened, the battle that marked the fate of the world as we know it. Amazing right? It is a true story too, I saw it with my own eyes! The writer puts down his book, revealing his face, exposing himself to be the one and only! Since I was little, I always had those nightmares that haunted me, a lot of scary stuff that is hard to talk about, almost everything scared me, and when I would fall asleep, nightmares wouldn't stop, and they were not a joke, they were so scary that I would wake up crying and run to my parents room downstairs, crying for help. They always comforted me for sure but deep inside me I knew that I should find a way to deal with my nightmares myself, because they made me the saddest kid ever. I grew older and I started to question a lot of things, my mom told me that my nightmares were just illusions that my mind would make up and none of them was real. I was a smart kid so I asked my mom: " But, aren't we the ones who control our minds?" My mom said yes but she hesitated a lot before saying it, but that faint "yes" that I wanted my mom to say so bad, was enough for me to bring all my hopes up and made me the happiest ever because I had the best idea. I said to myself: "I can control it, I can create a nice illusion that will fight all the other bad illusions that haunted me in my sleep, I can create a nice figure that will make me feel safe and fight all the scary thoughts I ever had. That was when I invented "Comfi", the nicest ghost ever, the cutest and the prettiest, with his pink rosy cheeks and big eyes and the silkiest and most amazing hair ever, I got him there with me and there for me, I brought him into my dreams and trained him to fight all the bad thoughts for me, he was the nicest ever to me and he would play with me and make me feel safe, I would talk to him about everything, he turned my nightmares into the safest and most beautiful dreams. My life was the best ever and my nightmares were completely gone. "I love him to the moon and back". That's one phrase I would say a lot. Some stuff about me : I love cats so much, and scented candles. Cuteness of cats make me so thrilled. And I love how nice scented candles smell, how beautiful they look and whenever I would light one up, I would sit staring at it, daydream about me and Comfi until I fall asleep and meet with him. I also have a little sister named "Nora", she always wanted to play with my scented candles but I didn't let her do that much, she was so young and I was afraid she would ruin them. "I don't have much money and the candles are kinda expensive" That's what I would say to my sister then she would pout. I was asleep, dreaming the usual kind and beautiful dreams when I noticed that Comfi was wearing some kind of a watch, there were 5 lit green lights around the circle of the watch, they looked so appealing and charming, they looked like gem, I spaced out looking at them and I got closer to them, my mouth was half open from amazement. "Wow, what is that, Comfi? those lights.. they are SO charming !!" I said to him. "Haha yea, of course they are" He giggled gently "They are basically my own life, that is why the look precious to you". "Your own life?" I exclaimed. "Yes they are" He smiled answering me. "I noticed you've been really clumsy lately, and I really don't wanna lose you, you created me and without you I'll be so lonely, I'll die from loneliness, I love you so much and I don't wanna lose you". He said. So I heard that there was that well over there" He said pointing to blank limitless area that looked so mysterious to me that I didn't even know what it was, it just looked white and empty. "So, I went there to that well and I traded myself for this watch, it will save you if you are going to die, you see each of these green lights is a part of my life that I can sacrifice to save you from dying" He said, but I was still looking at the watch amazed by how shiny and pretty the lights were. "Aww, it's so pretty" I said stroking the watch. "Yes, isn't it?" He said smiling then he hugged me. That was the last thing that happened before I woke up. I opened my eyes and yawned and looked through the window, it was raining! I always loved the rain so much, so much that it would make me so hyper and I always loved to play under the rain. I smiled and I immediately got up and ran outside laughing and playing under the rain, I was so happy even though it was so stormy that the wind almost blew me away, but I loved storms too... suddenly I saw that blinding light above me that was really strong.. it caught me off guard. "Oh, it's the lightening" I said to myself. "But why was it too strong?" Before I finished saying that, the loudest thunder ever happened that made me run inside. "Wow, it was really strong, that was weird" I giggled then said: "Ok, I should get ready for school"
I had my small but nice and healthy breakfast and changed into my uniform and walked to school as the rain got much lighter and the storm was almost gone. It was a normal and kind of long school day, I was so happy when it was done. I was happy to dive into my bed hugging it and slowly falling asleep, I was so excited to see Comfi and play with him, I wanted to tell him how boring my school day was. I fell asleep and started dreaming, I ran to Comfi as I saw him running towards my direction happily, we hugged and laughed and started to talk and play before my eyes met his watch and I noticed that one of the lights was gone. "What?! What happened?" I said sadly. "Why is... why is the.."
He petted my head and smiled then said "It's ok sweety, so you know the lightening that happened earlier? It was aiming at you.. and I saved your life!" He said happily. "Oh, I know you did but .. I don't want.. I don't want something to.." I said sadly. "It's ok, it's ok." He said smiling "You see I have 4 more lights here, everything is fine" He said tickling me and I started to giggle, I felt happy again and we started playing again joyfully until I woke up. "I should be really careful, for Comfi, I'll stay away from anything dangerous" I said to myself, my heart was full of courage and motivation. "Oh, it's the school trip day, I wish they made it optional, I really don't want to go.. " I said to myself holding onto my pillow and cuddling with it. "But I have to.."
I got up and got ready and left for the school trip in the mountains, I loved the views, everything looked so beautiful, I couldn't stop looking around and smiling, I love the nature so much. I've always been the short boy with the baby face in my class, my classmates would always play around and treat me like a baby for fun, I enjoyed it, it was really fun and joyful. They gathered around me with a grin on their faces. "Umm, what should we do to this little cutie over here?" One of them said and they were smiling. "Let's just throw him off the cliff" They said jokingly and they picked me up and went near the cliff playing around with me, and I was laughing because it was fun but then I started to think about the lightening and Comfi and what happened last time so I was suddenly scared, because they were so close to the edge and they were joking around about throwing me off, I knew it was just a game but I was afraid an accident might happen. "No no, please wait, I should be careful, we should be care.." I couldn't even complete my sentence before one of them slipped almost dropping me off the edge, it was like a miracle that nothing happened to me. "I was so close to the edge.." I said to myself "Yet, I'm here safe.. oh no, it couldn't be" I suddenly got worried that maybe it was Comfi. "Oh, we should really be careful" Said one of my classmates as the looked serious for little bit, then they went back to play together but I was sad the whole trip, I was thinking about Comfi, the day felt the longest ever. I was finally back home, I went upstairs to my room and fell asleep on my comfy bed, I was hoping there were still 4 lights on Comfi's watch. I met Comfi and we were so happy and excited as always, but I finally gained enough courage to look down to Comfi's wrist to check on the watch.. there were 3 lights. I looked so sad. he lifted up my chin and smiled happily saying "It's ok, please don't be sad, 3 lights are a lot, let's be happy and play"
"O-ok" I said. "I promise I'll be so careful, really really careful, I don't want you to be gone.." I said then I was happy again, how could I not be, when I had the best mate in the world there with me, giving me hope and faith and happiness all the time. I was really careful after that and I kept Comfi's watch all safe and steady for days and days. A few weeks later, I was on my way to school when I saw a big truck driving fast towards a kitten that was in the middle of the road, the truck was really fast I didn't think I'd be fast enough to save it but I couldn't stand and watch, I wanted to at least try and save it, I ran as fast as I could, still thinking about Comfi's watch too but I really couldn't stand watching the poor kitten get run over, I was hoping I'd be fast enough. I could save the kitten but the truck was so close, so close that it made me think.. it made me sad..
"I really hope I was fast enough.." I said to myself. "If I wasn't, at least we'll still be having 2 more lights, I really couldn't watch the kitten die.." I said with tears in my eyes as I was hugging and petting the kitten that meowed cutely to me and nuzzled into me. I took the kitten to the animal shelter before I continued walking my way to school, I was really sad. I would have kept the kitten but I've always been busy with school and I didn't want it to be neglected, Plus, I was afraid my little sister might unconsciously harm it, because she was so young. Next night, in my dream, I looked at Comfi's clock after we met and hugged happily. there were 2 lights. Before I said anything, he put his finger on my lips and said "It's ok, you had to save the kitten, you are my hero I'm so proud of you, you did the right thing, look at the bright side, I have these 2 lights and I'll probably live until 100!" He said laughing and he made me laugh too and smile, and he made me feel safe and happy as always. I lived my days after that carefully, I was so careful that it tired me out, it made me exhausted but I was happy that nothing bad happened to the lights, I kept them there for a long time until that night.. I was asleep and I was with Comfi, we were playing joyfully when I noticed that there was only one light left. "What!" I gasped, I was so scared and surprised. "W-why? I was so careful, I swear I wasn't near any danger, I was so careful, Comfi, I didn't let anything happen.. wh-why.." I said, one tear rolled down my cheek already. Comfi replied with a sad expression on his face : "You see, after you went to bed, your little sister sneaked into your room and started playing with your scented candles, she lit one of them up and fell asleep watching it, the rug started to catch fire that was going to burn your whole room.."
I was so scared that I immediately woke up, my eyes were wide open, I was shaking in horror. "I can't .. save him.. he'll be gone.. and everything will come back.. the nightmares and the illusions.. the depression.. e-everything.." I thought, my mind went blank, I was shaking, I started walking, it felt like I forgot how to walk "It's over.." I said to myself. "No matter how hard I try, I can't seem to save him.. I need to talk to my mom". I started to walk down the stairs, still shaking, my feet gave up on me and I was going to fall off, but I found my hand suddenly grip onto the staircase, it was a strong and confident grip, it wasn't my grip.. it wasn't my weak and shaky grip, it was Comfi's grip, that was when I got to my knees and sat, crying in depression. "That was Comfi.. he's gone now, he's gone" I cried louder and louder, I cried until I fell asleep. But Comfi was there! He was there! I ran to him still crying. "How..! Comfi! You're alive!" I cried in happiness, tears were falling down "You're alive!" I was so happy, we hugged and he was laughing happily and we spun while hugging, I looked down to see that the 5 lights were all lit up, as shiny and beautiful as before. "I'm so happy!" I said holding his cheeks. "How did that happen?" "After the last light turned off, the whole 5 lights lit up again! I went to the well and asked him and he explained everything to me, I was surprised too, but seems like your love to me will always turn all the lights on my watch back on when they are all off, it will always happen as long as he love me and remember me and play with me and take care of me, as long as you do that I'll live forever with you and give you the hope and happiness and faith that you need, that's what I was told by the well, and he said sorry for not telling us that earlier, and he said this : "Since it's Halloween, I wanted you guys to have some spooky fun" Then he laughed weirdly" Said Comfi, explaining. "Omg, I have a big hammer in my backyard, I should get it and destroy that well" I said with an angry look on my face. "Haha, we really shouldn't do that.." Said Comfi after laughing nervously. I didn't know what he meant by that but I was so happy he was still there, and he's still here with me until today. I made this drawing thinking about the character at the start of the game, because that's when you start your adventures, and that's what you remember most! 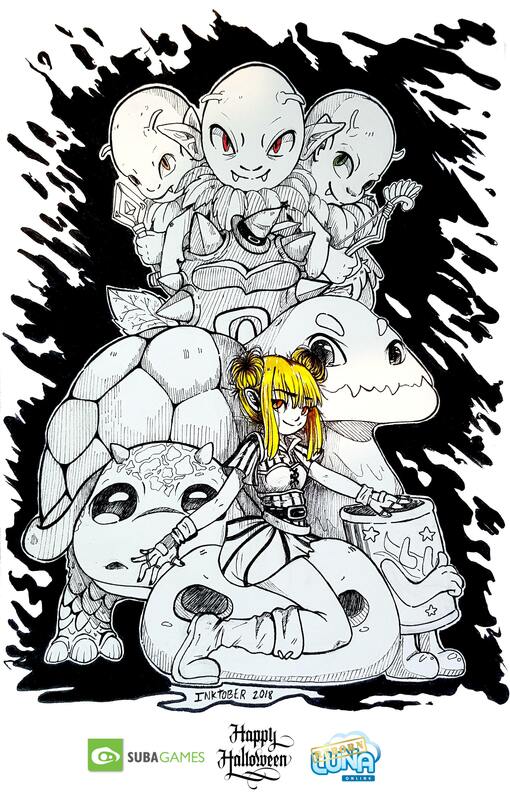 Draw my character, surrounded by the different initial monsters symbolizing the beginning of my adventures.